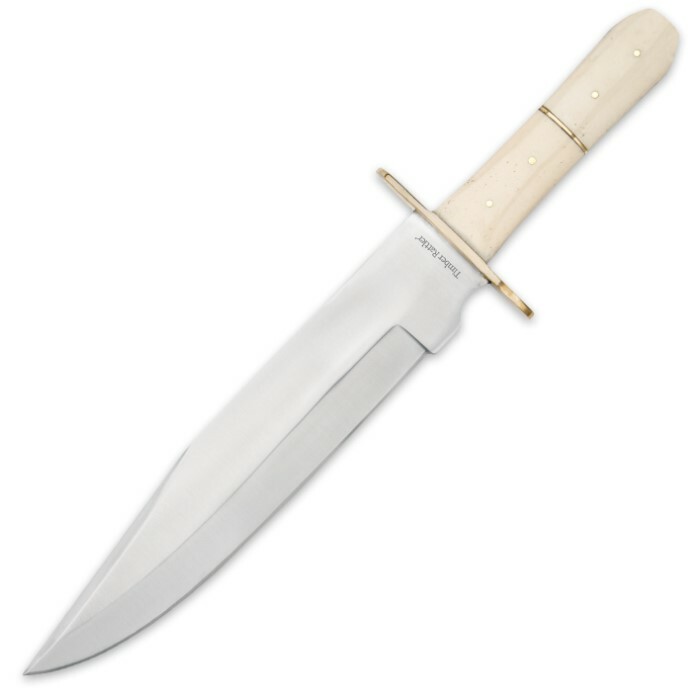 Timber Rattler Ivory Dusk Bone Handle Bowie Knife with Leather Sheath | BUDK.com - Knives & Swords At The Lowest Prices! Big and powerful with a touch of subtle refinement, the Ivory Dusk Bowie from Timber Rattler is equally at home in rugged back country wildlands or a plush collector’s display case. Its impressive 10” J420 stainless steel blade is carefully honed to razor’s edge and lovingly polished to a mirror finish. There’s no question this stout clip point can render some serious damage, but the generous choil makes the blade easy to manipulate delicately, as well, even while performing fine tasks like whittling and carving. 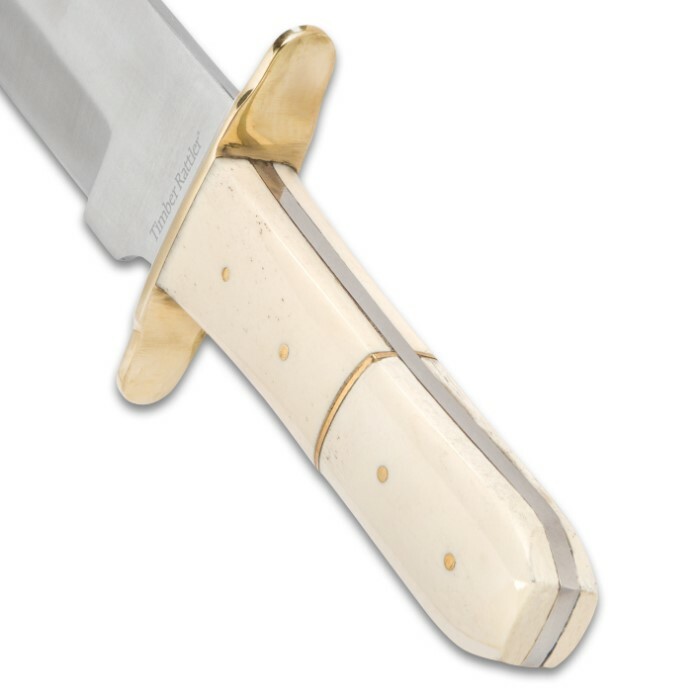 The genuine bone handle is pale cream with smoky wisps of contrasting darker hues. Highlighting the natural grain, it’s burnished to a brilliant shine and offset beautifully by the brass guard. Hefty but impeccably balanced, the 15” Ivory Dusk is a pleasure to wield. 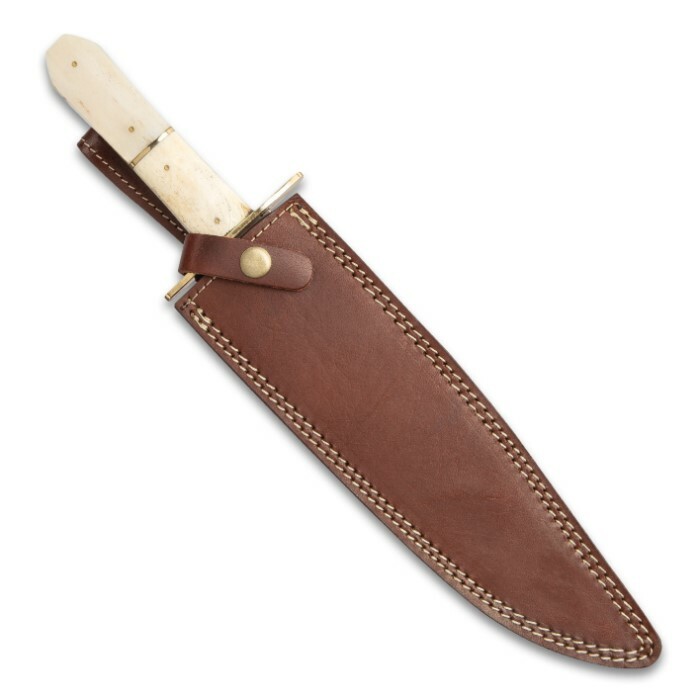 It’s easy to transport, as well, thanks to the included genuine leather sheath. 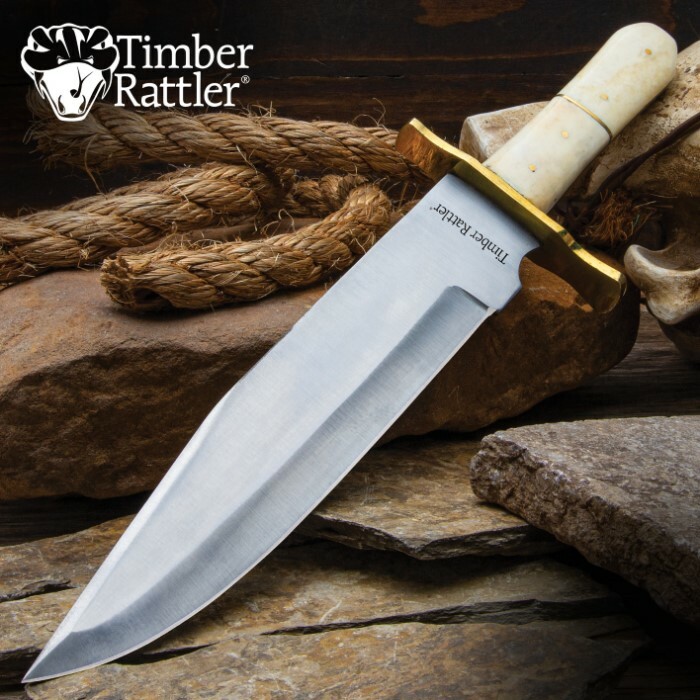 Whether you’re a collector or outdoorsman, you can’t go wrong Timber Rattler’s Ivory Dusk Bowie. Best of all, it’s astonishingly affordable! You won’t find better prices on fine knives like this anywhere else, so go ahead and get two - one to use in the field and one to display!